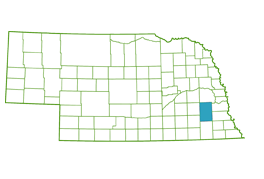 The Lincoln-Lancaster County Genealogical Society is open to anyone interested in genealogy and history or who has ancestors from this area of Nebraska. Resources, education, and camaraderie are all part of being involved with the Lincoln-Lancaster County Genealogical Society. But, there are many additional benefits when you become a member. Whether thousands of miles away or right here in Nebraska, you can enjoy benefits by membership in the Lincoln-Lancaster County Genealogical Society. Timely email notifications, updates and reminders of special opportunities available such as community resources, access to limited-time promotions, upcoming webinars, regional workshops. Ability to add names to the LLCGS surname registry. Members get a reduced rate for the annual conference/workshop. Becoming a member is a meaningful way to give back to the society. Many of the society’s historical records collection and preservation projects are helped funded by membership fees.